Polyethylene film – combining low price, ease of use and high mechanical properties – is the optimal packaging for a wide range of products – from beverages to construction materials. Heat shrink film is used to package industrial goods, food products (beverages in bottles and jars, sausages, dairy products, cheeses, boxes of confectionery, etc. ), alcoholic and non-alcoholic beverages, office supplies, printed products, building materials and other products. RETAL manufactures several types of heat shrink film – from the premium segment with enhanced optical properties to inexpensive films. 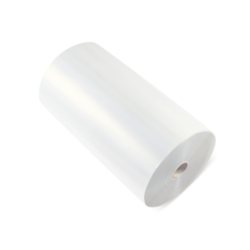 Heat shrink film is produced using original formulations that utilize know how from a mixture of polyethylenes of varying densities using functional additives. The combination of materials with varying properties and the capability of measuring the parameters make it possible to produce files for almost any type of packaging and equipment. Transparent and dyed heat shrink films with surface activation for subsequent printing are also produced. To choose the best packaging option for your equipment and requirements, contact the specialists on our sales team or technical support team.